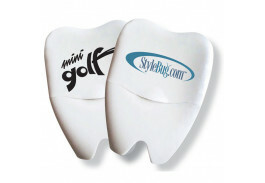 Show off those pearly whites with this fun promotional tooth shaped dental floss container! This mint flavored floss provides 55 yards of durable cleaning floss in a playful tooth shaped container. 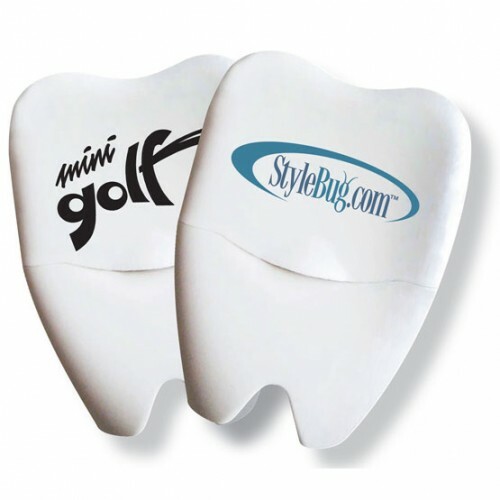 Perfect for dentist offices, hotels or for any kind of health driven convention, custom dental floss is a great way to promote healthy habits while keeping your name in front of customers. Personalized dental floss is ideal for dentists and orthodontists to send home with patients to help instill good dental health practices, especially with children. The price includes a one color direct or full color decal imprint. 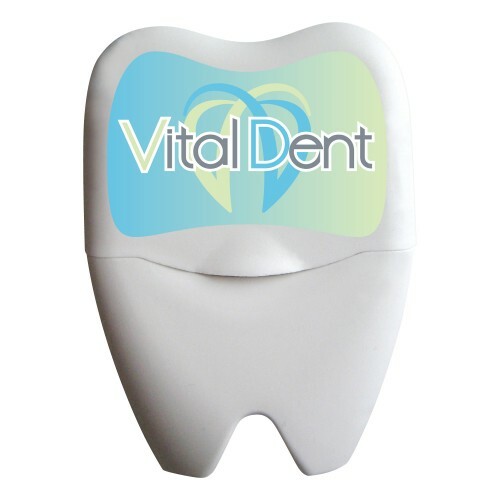 If you want a more traditional floss giveaway, check out our promotional dental floss dispenser.